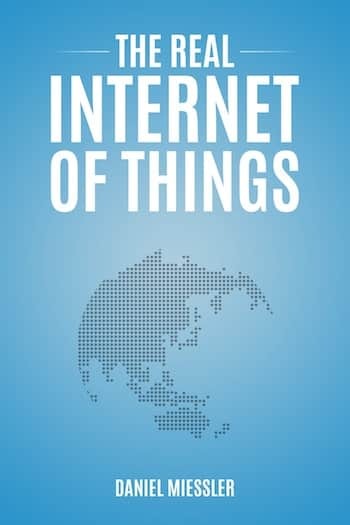 The “Internet of Things” means many different things to many different people, so let’s start with what this book is and is not. This book is not about the transient technical details that will inevitably transition over the next few years. It’s early, and there will be countless iterations and battles over standards. What this book is about is an inevitable IoT that I believe isn’t just a technology upgrade, but a humanity upgrade. There are three central themes throughout: prediction, interface, and evolution. Prediction argues—against common opinion—that it is possible to see what technology will look like even decades into the future. It’s not that I can tell you all the forms water could take (that’s insanity), but what I can tell you is the shape of a pothole in a rainstorm. Interface describes how our interactions with technology are about to become fundamentally less tech-centric and more natural and focused around the human. Evolution discusses the discussed technologies’ ultimate form and function, its value to humans, and the effect it will have on society. It’s a short book, made up of around twenty micro-chapters of one to three pages. Each one introduces a single, discrete concept and has a numbered summary that captures the key points. You can easily read the whole thing in one session, and when you’re done I believe you’ll have a unique view into the inevitable intersection between technology and society. I’m aware of the strength of that claim, so let’s get started.